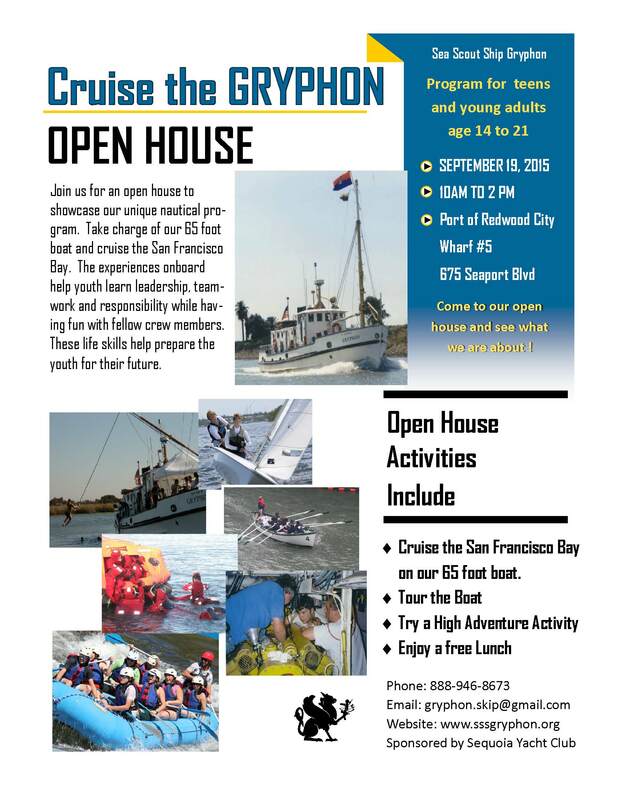 Please come enjoy a day on the bay with us on board the Sea Scout Ship Gryphon for free! We would like to share our program with the community and teach others about the program we offer. At 10:00 am on September 24th we will start our morning with boat tours and a high-adventure activity. After lunch, we will go on a bay cruise in order to show participants the skills of our youth and showcase the things that they have learned in our program. For directions to our boat, please click on “More Options” in the map below. 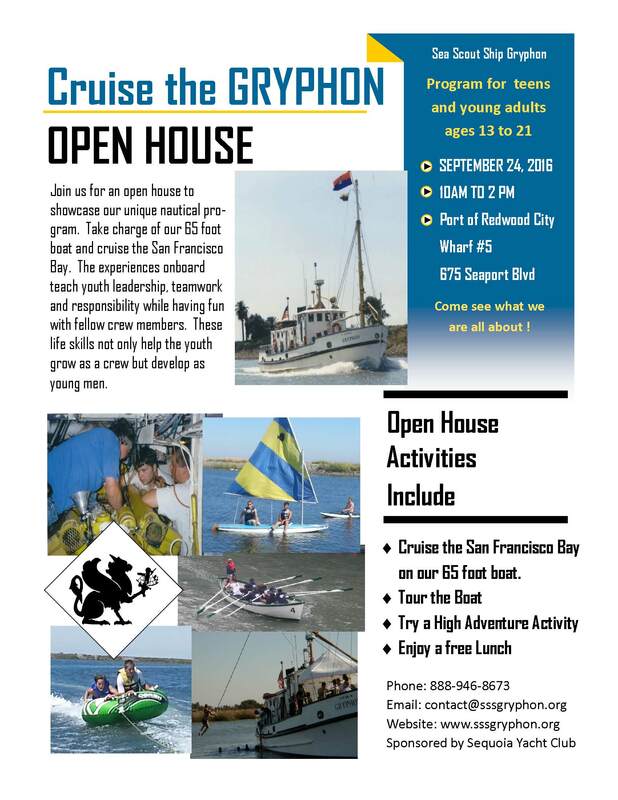 Please come enjoy a day on the bay with us on board the Sea Scout Ship Gryphon for free! We would like to share our program with the community and teach others about the program we offer. At 10:00 am on September 19th we will start our morning with boat tours and a high-adventure activity. After lunch, we will go on a bay cruise in order to show participants the skills of our youth and showcase the things that they have learned in our program.